Shopping for SEO marketing solutions can be a daunting task filled with technical terms and difficult-to–decipher jargon. To help you navigate, here’s our seo marketing glossary that breaks down what all those SEO marketing words mean. 301 redirect – Code meaning “moved permanently” used to point browsers, spiders, etc. to the correct location of a missing or renamed web page. 404 Error – Code meaning “file not found” used for missing or deleted web pages. Algorithm – Rules and calculations a search engine uses to determine the rankings of the sites it has indexed. Every search engine has its own unique algorithm. Algorithmic Results – Results that have not been paid for. These are results which the search engine has determined are worthy of inclusion without a Pay Per Click plan. ALT Tag – Used to describe the content associated with a non-text based file, typically an image. Backlinks – The number of quality links from other websites directed to your website. This is part of link popularity and SEO marketing, the process of collecting quality links from other websites pointing to your own. Banned – When a page is deemed inappropriate for a search engine, or the content is not relevant to the terms that it is optimizing, it can be removed from the index. Click through Rate – The percentage of people who actually click on your link after seeing it. Cloaking – An unethical SEO marketing practice of tricking the search engine into indexing different content than the user will see. Often the content is entirely unrelated to the actual purpose of the site. Contextual Link Inventory – An extension of search engines where search engines place targeted links on web sites that they deem to have similar audiences. Conversion Rate – This is the percentage of visitors to a site who actually take another action, like buying a product or filling out a survey. For example, if you want to collect survey data, and 20 people visit your site, but only 5 people complete the survey, you have a conversion rate of 25 percent. Cost Per Click – An SEO marketing system of paying for targeted traffic. For a small fee, sites like Google will do their best to direct traffic to your site. In exchange, you agree to pay a set amount for every click. CPC – an acronym for Cost Per Click. CPM – This is the cost per thousand views of an advertisement. Often, advertisers agree to pay a certain amount for every 1000 customers who see their ad as part of SEO marketing efforts, regardless of conversion rates of click throughs. The “M” in CPM is derived for the Latin word for 1000. Crawler – An automatic function of some search engines that index a page, and then visit the pages that the initial page links to. It then indexes the pages it visits. As the cycle continues, search engines can index a massive number of pages very quickly. Delisting – When a page is removed from a search engine. They may be banned, or just deemed out-of–date or irrelevant.Directories – A search engine where the results are compiled by hand, rather than by a crawler. Oftenthese sites are reviewed and then categorized by humans. Gateway Page – same as Doorway Page. Graphical Search Inventory – Images and banner ads that are tied to particular search terms on a search engine. They are then displayed to the user when they enter a related search term. Index – The actual collection of data and websites obtained by a search engine. Inbound Link – same as Backlinks. Keywords – The terms that a user enters into a search engine. Can also signify the terms a web site is targeting to rank highly as part of their SEO marketing campaign. Keyword Density – The proportion of keywords used to the total number of words in the visible content of a web site. Keyword Proximity – The relative distance between keywords in the visible text of a web site. Landing Page – The actual page that a user lands on when he clicks through a search engine listing. Link Popularity – A count of how many sites in a search engine index that link to you. Some engines use this as factor in determining your SEO marketing ranking. Link Text – The text that is displayed in a hyperlink. For example, in the hyperlink www.besearched.com,“besearched.com” is the link text. Listings – A listing is a website’s presence in a search engine or directory, and is not indicative of a websites’ search engine positioning. META Tags – Also called META data, this information formerly affected many of the SEO marketing strategies online. It included a description, keyword sets and other information. Generally, search engines may include the characters in their ranking criteria, but they don’t display the description as in the past and the keywords are having less influence. Meta Description Tag – A tag on a web page, located in the heading source code, that has a basic description of the site to help search engines rank it accordingly. However, not all engines use them. Meta Keywords Tag – Allows page authors to include a list of keywords they feel is appropriate for their page so that search engines may rank them better. This is not used by all search engines. Meta Robots Tag – Allows page authors to prevent their web page from being indexed by a search engine. Mirror Site – Duplicate copy of a web site already in existence, used to increase response time for high-volume sites. Organic Listings – These are search engine results that have not been purchased. They are obtained solely by the engine’s algorithm and are based on the merit of the page. Outbound Links – Any link on a web page to another web page, whether the page is on their site or another one. Paid Inclusion – A system where a website renders a small payment in order to be included in a search engine, but no guarantees are given as to the rankings. PPC – an acronym of Pay-Per-Click. Paid Listings – Listings sold to advertisers for a small fee. Pay-for-Performance – A system nearly identical to Pay-Per-Click, and can be synonymous. Pay-Per-Click – Also known as PPC, this type of SEO marketing involves advertisements that run above or beside the free search engine listings on such services as Google and Overture. Typically, to get the highest position among these ads, website owners may place a per-click bid. It’s not uncommon to participate in a bidding war for coveted top spots. For example, if a website is among the top 3 advertisements, the same ad appears in the same location on partner websites. Some SEO marketing firms, including Besearched.com provide bid management services to get the most value for each search term. Paid Placement – An SEO marketing program where companies or individuals pay a small fee to have their site rank higher than others for a given search term; this is usually done on a Cost-Per-Click basis. Position – Same as Rank. 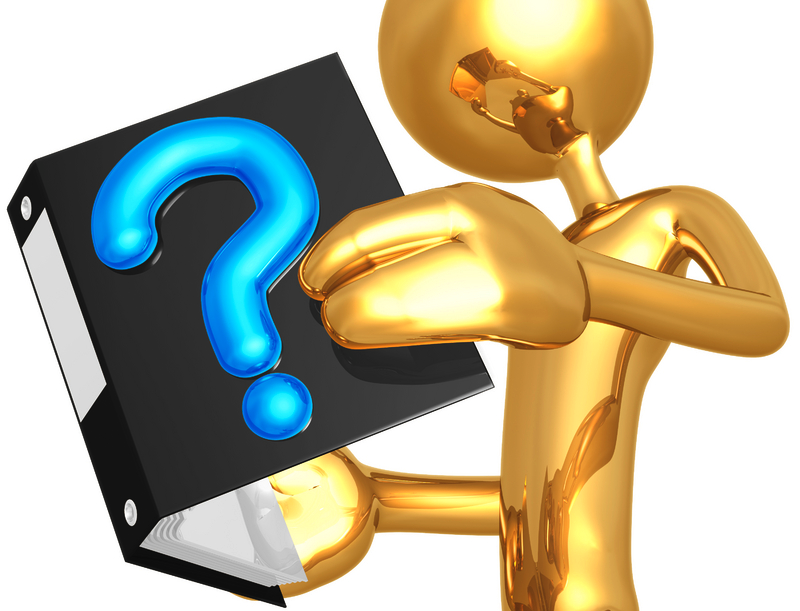 Query – The terms entered into a search engine by the user. Rank – How well a page is doing on a search engine. The higher your rank, the more visible your page is to search engine users. Rankings – They’re simply the place or positioning for a website after it’s registered with a search engine. Rapid Inclusion – The indexing of web sites in search engines and directories based on a per page fee. As opposed to free submissions where indexes are updated every few weeks, rapid indexing occurs every 48-72 hours. Reciprocal Link – When two sites agree to link to each other. Registration – It’s the process of asking a search engine or directory to consider including a website for SEO marketing. Some registrations involve carefully written descriptions for paid and free directories. Others occur through automatic or manual submissions to the search engines and directories. Results Page – The page that is displayed after a search query is entered. Robot – Same as Crawler. 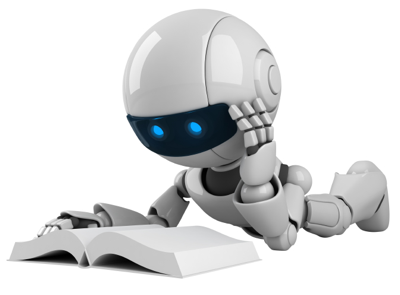 Robots.txt – A small text file included on a web site that prohibits a search engine from indexing certain pages. ROI – An acronym for “Return On Investment.” ROI is the percentage of profit from a given search engine marketing activity. For example, if you pay fifty dollars a month for CPC listings, and it leads to $500 in profit, your return on investment would be 1000%. Search Engine – A web site that allows users to search the web for specific information by entering keywords they are looking for. Can include paid or organic listings. Search Engine Marketing (SEM) – These solutions are the cumulative effort of marketing a web site using search engines. It includes the process of improving organic and/or paid listings, rapid inclusion and more to increase a web site’s visibility, also known as SEO marketing. Search Engine Optimization (SEO) – These solutions involve website analysis and adjustments (source code and visible text) to ensure the highest possible search engine positioning, also known as SEO marketing. Search Terms – The words actually entered into a search engine when a user is looking for information. SEM – An acronym for Search Engine Marketing. SEO – An acronym for Search Engine Optimization. SERPS – An acronym for Search Engine Results Page. See Results Page. Shopping Search – A specialized search engine that indexes products and prices specifically for users who are shopping online. SiteMatch – A paid-inclusion program offered by Yahoo! for web sites to be considered for its index. Spam – In terms of search engines, it is any SEO marketing effort which the search engine decides is a hindrance to their providing good results. This can include doorway pages, having irrelevant keywords on a page, and many other things. The standards for what constitutes spam varies by search engine. Violating their policies usually results in being banned from the search engine. Spider – Same as Crawler. Style Sheet – Template used for defining the layout of multiple pages within a web site. Submission – The SEO marketing process of registering a site with a search engine. It does not guarantee inclusion, but will usually lead to it being reviewed or crawled by the web site. It offers no guarantee of ranking. It can be done manually, or using some commercial software packages that are available. Title Tag – A form of Meta data used by search engines to describe the titles of web pages. Search engine ranking algorithms place value in the use of title tags in determining what a site is about and the relevancy of its content. Website Title – Located near the top of the source code, the title helps define the page content. XML Feeds – A system where search engines get their information via XML, a technology where information can be updated rapidly between sites. This is an alternative to actually crawling the sites. This is usually a form of paid inclusion.